Ventilation currently represents around 50% of metal producers’ overall energy costs. Mines are looking to go deeper and still remain economic, while also eliminating fine diesel particulate matter from the underground work environment. Couple these aims with the need to achieve clean-energy targets and secure greenhouse-gas reduction benefits, and it’s clear that there are a myriad of drivers for the introduction of battery-powered vehicles that are engineered for life underground. A mobile fleet propulsion system that can reduce ventilation, diesel engine power requirements and also deliver a health-and-safety dividend has an extremely compelling business case. And as miners have come to realise this, so interest in battery technologies has grown among the mining community. The MINExpo 2016 tradeshow held last September was the perfect gauge for this; almost every OEM was showcasing an electric-drive system, regenerative-drive technology or battery-propelled underground machine of some sort. Compare this with the 2012 incarnation where automation and EPA Tier 4 Final compliant engine technologies were the key talking points, and it’s clear that the focus of the industry has shifted somewhat. So what has brought about this change? 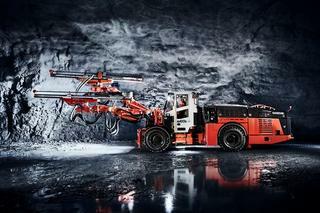 “Interest is coming from two sources,” says Jani Vilenius, director of research and technology development, PA Rock Drills and Technologies, at Sandvik Mining and Rock Technology. “Battery technology is being applied more widely in other industries and, for that reason, its applicability in mining is also being questioned, creating a technology push. Batteries of some sort or design have been around in mining for decades. However, with advances in chemistry and associated technologies such as DC motors and charging technologies, what exists now are batteries that are much more suitable and adaptable for the underground mining environment. “On top of this is the willingness of mining companies to take on and adapt new technologies and ideas that were once not seen as a solution for widespread adoption in the mining sector,” explains Anthony Griffiths, product manager for fleet electrification at MacLean Engineering. MacLean launched its Fleet Electrification programme in 2015. The effort resulted in three completed builds in 2016 – two battery-powered Bolters and one battery-powered Boom Truck – as well as its first EV Series fleet sale (ground support and production support) also to Goldcorp’s Borden Lake. “We have committed to having our full fleet of ground support, ore flow and utility vehicles electrified by the end of the coming calendar year,” Griffiths adds. Of course, until a technology is proven, it’s extremely hard for it to gain traction. One project that is helping to change the way the mining industry perceives battery technology is Kirkland Lake Gold’s (KLG) Macassa mine complex in Ontario (notice the trend: the Canadians are some of the most forward-thinking when it comes to adopting new mining technologies). 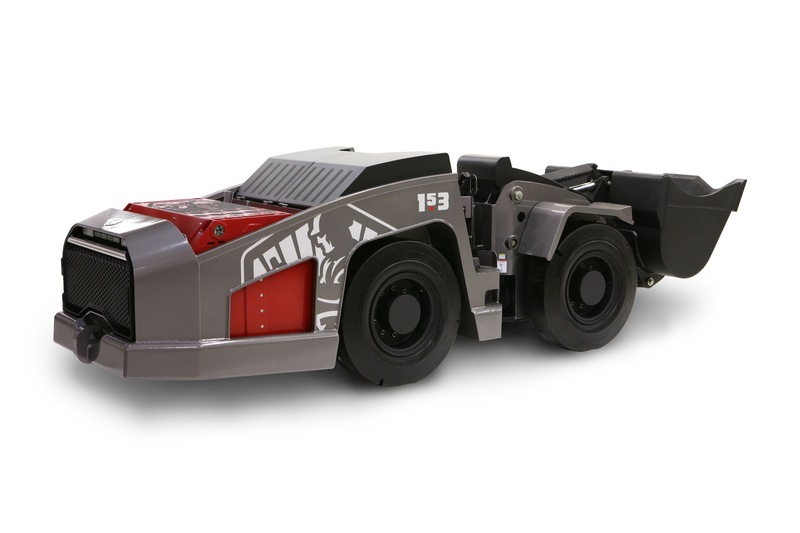 Artisan Vehicle Systems, a manufacturer of electric battery-powered underground mining equipment based in California, US, worked with KLG to prove the technology as part of a production fleet. “Prior to implementing this battery-powered fleet, other mining companies had tested a few battery prototypes with little success,” AVS’ president and CEO, Mike Kasaba, tells MM. 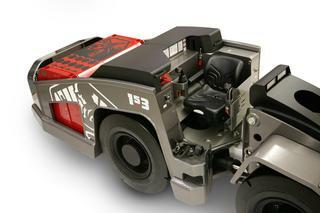 “KLG now has more than 25 battery-powered loaders and trucks. These machines are responsible for moving more than 60% of the ore in the Macassa mine. The measurable benefits to KLG have included: faster access to rich reserves, lower capital spending on ventilation, and healthier working conditions for miners. Battery-powered products for hard-rock mining are also in the pipeline for Caterpillar which, as the mining industry’s largest OEM, is a pretty good bellwether for a technology’s potential to become mainstream. It is worth noting that the machines mentioned above are only a snapshot of what’s being developed and tested in the underground mining industry at present; many of the companies approached for interviews as part of this feature were not ready to talk. Lithium ion: a subcategory that includes lithium iron phosphate (LFP), lithium titanate (LTO) and lithium nickel-cobalt-manganese (NCM). Each has its strengths and weaknesses based on the specific application. Traditional lead-acid batteries have been used in mining for a long time, mainly in soft-rock applications such as coal, salt and potash. However, their widespread use has been stunted by their large size and heavy weight, limited energy and power capacity, limited cyclic life of the batteries and questionable safety credentials. These batteries are similar to starter batteries found in passenger cars. They have a high power capability, but have drastically reduced efficiency and energy density when used to move higher loads. They require significant maintenance, and also suffer from ‘off–gassing’. Off-gassing is a term that refers to the chemical reaction that occurs in certain batteries, specifically in the charging/overcharging state, or when the battery starts to decay or decompose over time. A number of undesirable gases can be produced based on the battery chemistry; in the case of lead-acid batteries, that gas is hydrogen, which is extremely flammable. Lead-acid batteries also require a long charging time of several hours and, Vilenius explains, in order to meet the high power requirements of a large mining vehicle and create the steady flow of power needed for traction purposes, quite a lot of battery cells are required. Modern battery technologies are now being introduced by several companies. Some of these are still being pilot tested, but several have been accepted by the industry and market interest is increasing. Recently introduced technologies for underground mining include different lithium ion (Li-ion) formulations and sodium nickel chloride technology. Li-ion technologies include several chemistry alternatives; the most attractive for mining applications include LTO, LFP and NCM. Energy density is the unit of measure used to indicate the potential for producing energy. Diesel fuel has a very high density rating and this makes it a good fuel source. Lead acid-based batteries have a density that is at the lower end of the current battery chemistries that are now available. “The chemistry that we have chosen for powering our fleet has easily doubled and, in some cases, tripled the total life cycle and number of charging cycles that a traditional lead-acid battery can provide,” Griffiths adds. AVS, meanwhile, has found that most of its mining customers prefer LFP batteries for their safety benefits, low cost and reliability. “New battery chemistries are announced frequently, but only a few are worthy of high volume, reliable and cost-effective use. The rest never make it out of the laboratory or are extremely expensive with no path to affordability,” says Kasaba. “Of the few production-worthy battery chemistries on the market today, we see slow but steady improvements in energy density, power output, thermal performance, behaviour uniformity and longevity. AVS’ underground LHDs are powered by LFP and LTO batteries. “Our latest battery packs contain 30% more energy using the same space as before,” explains Kasaba. “We have also significantly improved our system’s performance in environments with high ambient heat. 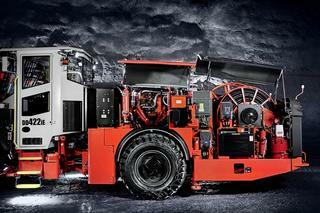 Currently, the vast majority of underground equipment is powered by diesel. 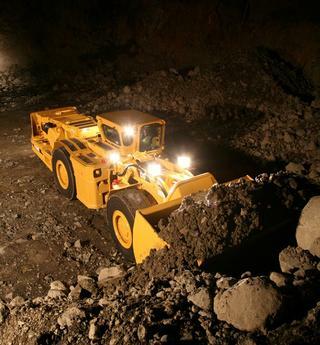 However, every major mining company in the world is evaluating the use of battery-powered machines. Several major mining companies have projects under way right now to deploy battery-based equipment for large-scale production operations and these deployments will help drive broader market acceptance. “Mining executives are telling us that they know the industry is moving away from diesel and toward zero-emission equipment for underground use,” says Kasaba. “The tipping point for the entire industry will be driven by success stories from soon-to-be-announced large-scale deployments. In 2016, CSIRO scientists, in collaboration with RMIT University and Queensland University of Technology, demonstrated that pre-treating a battery’s lithium metal electrodes with an electrolyte salt solution extends battery life and increases performance and safety. Dr Adam Best, senior research scientist and research group leader with CSIRO Manufacturing, told MM that the breakthrough could also have significance for the mining industry. The pre-treatment process involves the immersion of lithium metal electrodes in an electrolyte bath containing a mixture of ionic liquids and lithium salts, prior to a battery being assembled. The electrolytes breakdown on the surface of the lithium metal, causing a thick insulating layer to form – the solid electrolyte interphase (SEI) – which thickens with both time and cycling. Best explained: “We have identified a class of ionic liquids (ILs) that show superior electrochemical stability and form a stable SEI to support long-term cycling. “ILs have far superior thermal stability and no vapour pressure when compared with standard lithium-ion battery electrolytes. This combination of properties reduces the risk of explosion and fire [a known rechargeable-battery issue]. “By completing the pre-treatment process before assembling the battery, we are aiming to reduce the amount of electrolyte that is broken down during charge and discharge, and improve the efficiency and cycle life of the device,” he added. Batteries that have undergone the process can also spend up to one year on the shelf without loss of performance. The electrolyte salt solutions, to which CSIRO holds patents, come in a range of chemical compositions that the team said could be easily adopted by manufacturers. The team has also developed a concept for a high-temperature rechargeable battery that allows operation up to 120°C, which is specifically aimed at the oil-and-gas market, but could also find a niche in mining. “Renewable Energy for Mining and Oil Industry”.